Single book box featuring colour lithograph by France based, Swiss-born Art Nouveau artist Théophile Steinlen (1859 – 1923). 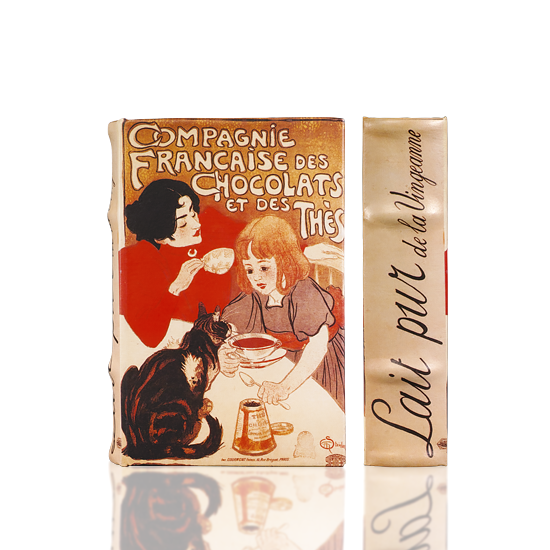 The poster is an advertisement for the "Compagnie Francaise des Chocolats et des Thés", which directly translates to the "French Chocolate and Tea Company". In the lithograph, Steinlen portrays his wife enjoying an exotic Chinese black tea while his daughter sips hot chocolate.